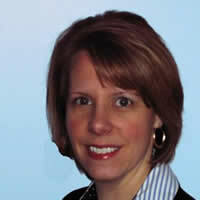 Dawn Krueger has worked in the corporate Environmental Operations group of 3M for 18 years. Her current title is Environmental Compliance Assurance Manager, a member of the team responsible for tracking, influencing, and implementing environmental regulations and compliance management for all U.S. operations. She also manages 3M's global environmental auditing program. She is a Qualified Environmental Professional and has a Bachelor of Science degree in Chemical Engineering from the University of Minnesota.